Quin Gwinn is just magic. Just a couple minutes later, Gwinn comes bounding in with big apologies, big smiles, big hugs; it’s so much light, magnetic energy, and electricity all at once that it’s almost overwhelming. As I said – magic; like, that pure human magic. That kind of magic can only come from someone who knows that what you bring into a room matters deeply. As an interior designer, no one knows that better than Gwinn. She focuses on residential and on small, commercial projects – places that are intimate, warm, and personal. A Georgia native, Gwinn studied interior design at Georgia Southern University. 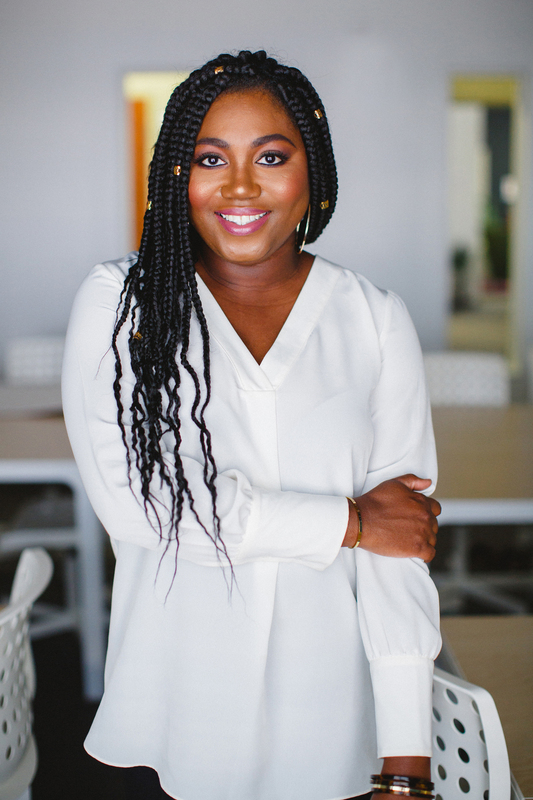 Upon graduating, she worked for a small architectural firm in Atlanta; she focused on large scale, commercial interiors for spaces like senior living facilities or community centers. In 2010, Gwinn and her now-husband, Jason, moved from Atlanta to Charlotte. He had graduated and landed a job as a school counselor; at the same time, Gwinn was laid off. It was an unfortunate byproduct of working in the economically-driven field of interior design post-Recession. Yet, it served as a catalyst for Gwinn. With her oldest child in pre-kindergarten, Gwinn had some time to get to know Charlotte and build clientele. To do that, she took a part-time job with West Elm. She realized quickly that a lot was possible for her. 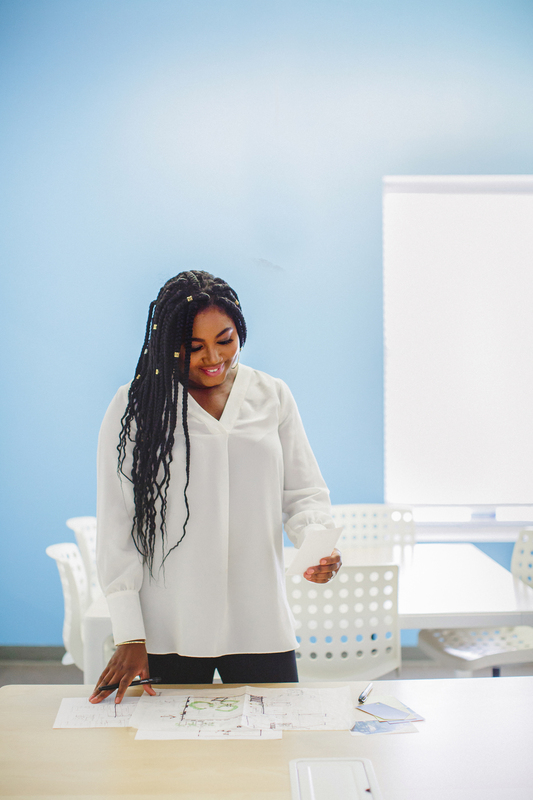 “I realized really quickly that Charlotte is just wide open for opportunity,” she says. She took the West Elm experience and ran with it. 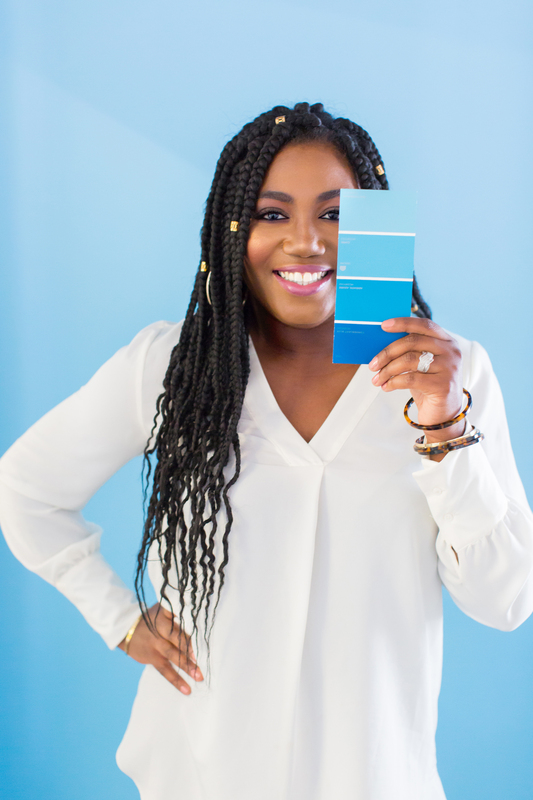 She used her interior design experience to develop the Home Stylist program for West Elm store associates across the country; she later became the first certified Home Stylist for the brand. Then, in 2014, she left West Elm to officially launch Quin Gwinn Studio. Today, Gwinn’s life is a balance between her work as a designer and her life as a wife and mother. She and Jason married in 2011. They have three children together – Ryan (11), Chase (7), and Gigi (3). So, here’s where we fire up her real magic with an age-old question – how’s she do it? She talks honestly about squeezing the most of each day; and how she’s learned to be ‘hella’ productive in short windows of time; how she uses the hour before she wakes up the kids or the time after everyone has gone to bed. Or how she sometimes makes up for the lack of sleep with a nap in the carpool line. She shares about her CEO Monday – she carves out that first day of the week for all the priorities she has to do, but hates to do. Tuesdays through Thursdays are for field and client work; and then Fridays are for family. She’s funny and candid about it all – but also, real, sharp, and clear, especially when she talks about why finding time for yourself in all this truly matters. Her clear time and energy parameters have allowed her to accomplish a lot – including her Masters degree. She graduated from Queens University of Charlotte just last weekend with her Masters of Arts degree in Interior Architecture. 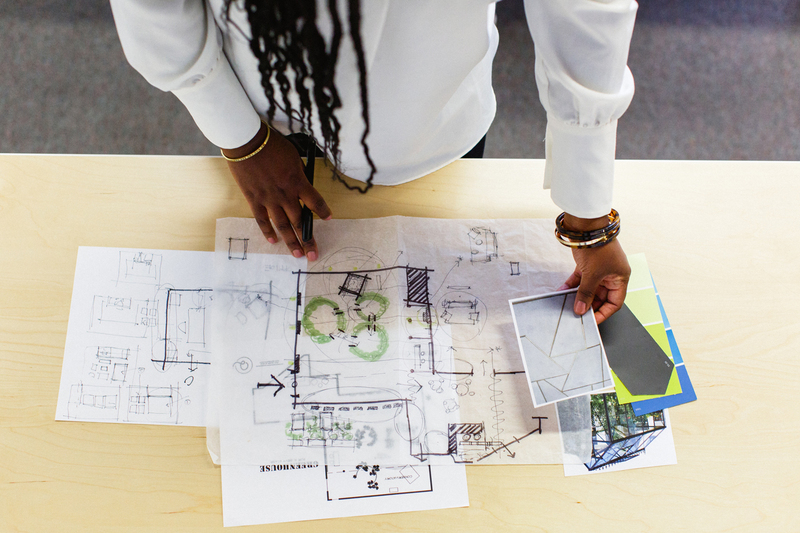 As much as she enjoys the residential interior design work, she’s excited that the Masters will now give her the space and education to do more socially impactful design work. Gwinn’s career is making an impact closer to home, too. Her children know she’s an entrepreneur. 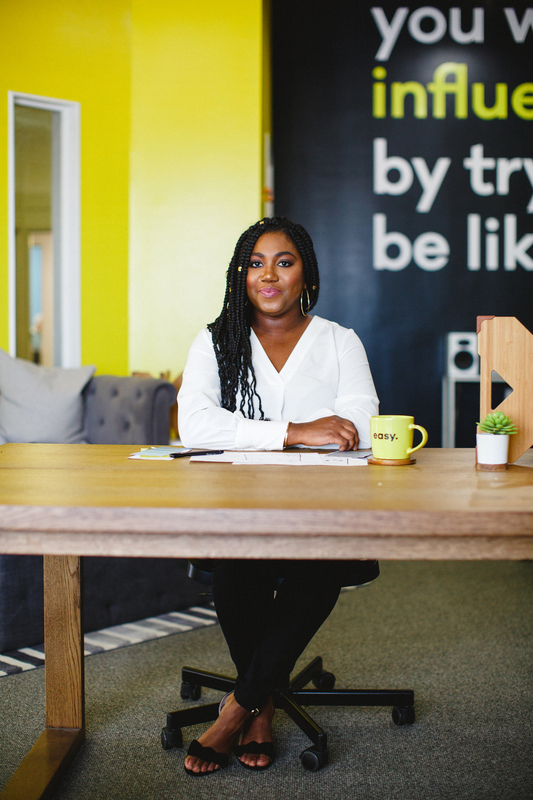 She observes how different their vocabulary is – her son, Ryan, talks entrepreneurial when he discusses wanting to design an app; her middle child, Chase, asks her if she’s going to meet clients. “It makes me so happy to know that they know what I do,” she gushes. Gwinn is the first in her family to earn an undergraduate degree; she’s also the first to earn a graduate degree. Those choices have made a powerful impression on her children, as well. Happy Mother’s Day to our moms. You’re magic in your own perfect ways.